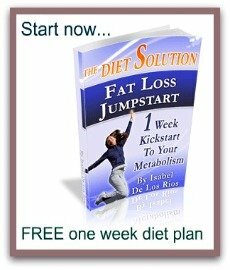 So what really is the best diet plan?? As a holistic nutritionist and manager of a popular health and weight loss clinic, I can tell you that I have read, analyzed and researched almost every diet that has come along in the last 20 years! Everybody is an expert on how to lose and keep weight off. 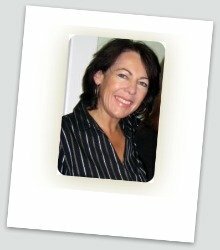 The weight loss and diet industry is financially a HUGE moneymaker. While some folks are successful at losing weight, 95% of us fail. We may initially succeed in losing some weight but we inevitably put it back on. The diet industry loves the fact that we keep putting weight back on....it gives them an opportunity to flog another magic diet pill or fad diet program. I'd love to say that I have the best diet plan to offer you but the truth is that there is no single plan that is the best for everybody; we are all different and what works for one person may not work for another. There are lots of good and bad programs out there. What I do know is that you need to embrace a program that focuses on whole, natural, fresh foods and find one that you feel you can do for life. Changing your eating habits permanently is not easy, but the health and weight loss results are more than worth it. Make you buy their pre made meals and shakes. Make you buy their expensive supplements. You may need a basic multi vitamin and an omega 3 EFA supplement, but you do not need diet suppements to help you lose weight and get healthy. Encourage you to drink diet pop and eat processed foods. Fad programs that require you to cut back too much on one of the major food groups: fats, carbohydrates or protein. Extreme diets work only in the short term. Programs that are complicated to follow: involve too much weighing, measuring and adherence to specific recipes. Programs that say you have to become a 'gym rat' and spend excessive time working out. Programs that pretend to be 'lifestyle' programs but are really setting you up for failure. Ask yourself: can I do this the rest of my life? Only adopt dietary changes you believe can become long term healthy habits. You can buy the food at your local grocery store. Food focus is on whole, natural, fresh and unprocessed foods. The program is uncomplicated and fits your lifestyle. The program educates you on nutrition FACTS not hearsay or diet misinformation, which currently spews off the net. The program is based on developing sensible longterm healthy eating habits using all of the main food groups: carbohydrates, proteins and fats. The author or proponent of the program 'walks the talk'. The program supports you with a dedicated informative website, newsletter, face book page, contact information and on line support group. 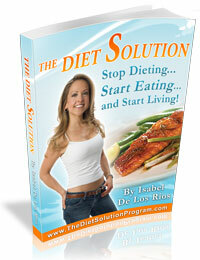 You are ready, able and willing to make the recommended longterm changes in your dietary habits. The program 'excites' you and calls you to action! You've heard the saying 'diets don't work', everyone tosses that saying around and tries to convince you that their diet is not a diet. The truth is that most of us eat 3-5 times a day and we have well entrenched eating habits going back to our childhood days. Changing your pattern of eating is not easy, so before you consider yet another diet plan do your research and make sure it is the right one for YOU. So...which do I feel is the best diet plan? Well of course I'm going to say mine right...except I haven't got a formatted plan to promote to you..yet! The food and recipes suggested on this site are based on good wholesome heart healthy eating using principles used in both the Mediterranean and Dash diets. You can use them to build your own plan if you like.